He was born in 1914 in Yaroslavl. He graduated from the Yaroslavl Art College in 1931. The artist of the regional newspapers Leninets (Ivanovo) and Yunost (Yaroslavl), the newspapers of the Moscow Military District Red Warrior, Komsomolskaya Pravda, the Soyuzmultfilm studio. In 1941-1945 – a participant in the Great Patriotic War, a sniper, then an artist of front-line newspapers (including “For the Motherland”). For participation in the “Windows of TASS” is included in the number of 200 people, subject to immediate destruction after the capture of Moscow. He was awarded the Order of the Red Star, two Orders of the Patriotic War, and medals. 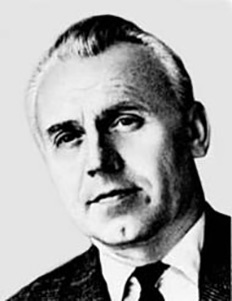 After the war he worked in Komsomolskaya Pravda, Pionerskaya Pravda, Krasnaya Zvezda, collaborated in the magazines Soviet Warrior, Crocodile, Pravda, Izvestia and several other publications. He created funny illustrations for children’s books and short stories. He is a diploma of All-Union and international exhibitions. Member of the Union of Artists and the USSR Journalists Union.